Fourth of July is coming up, so for those local New Yorkers who can’t get away for the whole weekend or take the week off from work, we've gathered up a list of the best beaches and BBQ joints in the NYC area so you too can celebrate America’s birthday. Whether it’s a day trip or just a simple local meal, here are some ideas for you July 4th week -- without all the commitment and traffic.  Of course, we have to start with our own personal favorite beach:Fair Harbor. Fair Harbor sits on Fire Island, a small, car-less island that’s only a short 30 minute ferry ride from Bay Shore, Long Island. Although most east-coast summer islands, such as Nantucket or Martha’s Vineyard, include hours of driving, pre-booked ferry rides and weeks of planning, an escape to the beautiful beaches of Fair Harbor can be planned the morning of, and is the perfect day trip for this year’s Fourth of July festivities. So whether you're tied to your desk this week, or forgot to plan a trip and are in a scramble, pack a cooler and some sunscreen and hit the road to soak up the sun in Fire Island. Ferry tickets are available for purchase here, or you can by them at the dock when you arrive. If you’re looking for a day filled with crashing waves, a great surf and crowds of smiling people sprawled along a sandy beach, Rockaway Beach is the perfect place to escape to this Fourth of July.Only a short hour long drive outside of Manhattan, this beach is famed for its energetic environment as it greets thousands of visitors every weekend in the summer. Being the only legal surf beach in NYC, it’s the optimal spot to catch a few waves. For those looking to get in beach-bod shape, the area also hosts a variety of activities all summer long, such as beach zumba and yoga. Featuring concession stands, parks and playgrounds, it has something for everyone, making it the perfect day trip for a group of friends or family to kick back and relax, or hit the waves this independence day. To see a full list of activities, events and dates click here. Another great local beach is Jones Beach, also located a short, hour-long drive from Manhattan. With over six miles of white sand and rolling waves, it’s a great spot to pack a beach picnic and lounge on the beach for the day. After a day at the beach, stick around to watch Jones Beach comes to life at night. 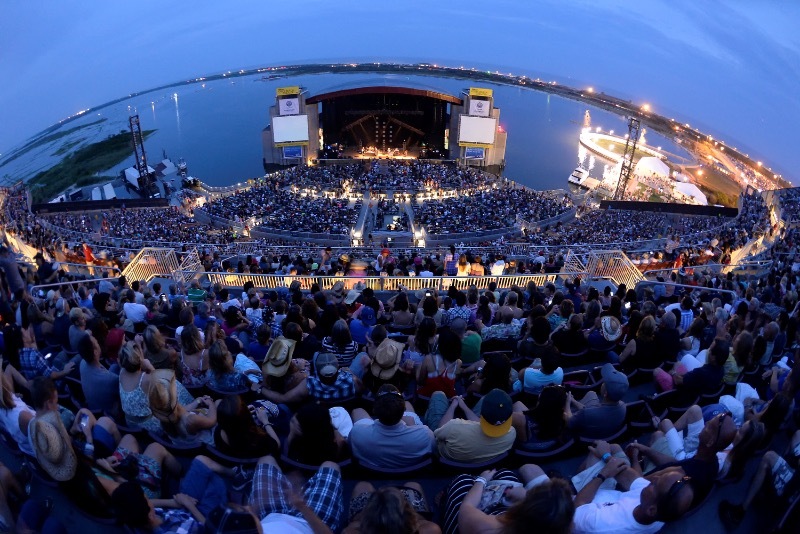 Grab tickets to a concert at the Jones Beach Theater and get some buddies together for a tailgate before seeing a show (like Rascal Flatts, Dave Matthews Band and G-Eazy). Even if you can’t get away for a full day this Fourth of July, it doesn’t mean you can’t enjoy a delicious, authentic BBQ meal blocks away from your house or apartment. Hometown Bar-B-Que in Brooklyn features long lines, excellent service and ‘melt-in-your-mouth’ meat, ranging from ribs to brisket, as well as classic sides such as cornbread and mac-and-cheese. Arrive hungry, and be prepared for a wait. The restaurant allows you to buy drinks (both alcoholic and non-alcoholic) while you wait in line. Bring your family, go with a group of friends, or arrive solo and ready to eat. For those vegetarians and vegans, who can’t usually enjoy traditional BBQ, The Organic Grill on 1st Ave features local, organic ingredients. This vegetarian menu won’t make you feel like you’re missing out on anything -- including loaded fries, sandwiches and even vegan burgers. The restaurant also prides itself on its “Beat the Machine” Burger Challenge, which dares contestants to finish 3 mushroom patties, 3 buns, cheese, guacamole, pesto, tomato, lettuce and fries in under 10 minutes. You can enter with a group or try it on your own, but either way, nothing says Fourth of July quite like a speed eating competition (although The Organic Grill’s might not compare to Coney Island’s Hot Dog Eating Competition, which takes place every year on Fourth of July). 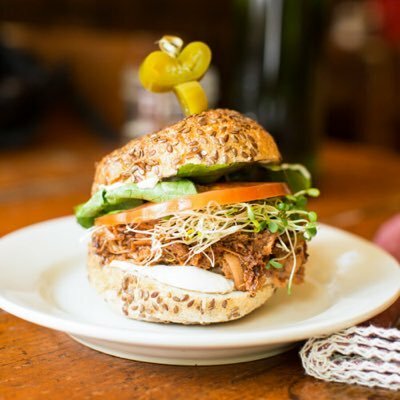 Pig Beach in Brooklyn, NY offers the perfect summertime vibe paired with delicious authentic BBQ and house made cocktails, making it a great spot to go for lunch and stay all day this Fourth of July. Once the sun goes down, this Brooklyn spot comes to life -- with wooden picnic tables, canopy lights and fresh-open air. From the classic hot dogs and hamburgers, to ribs, brisket and coleslaw, the menu is small but well crafted and has something for everyone, including vegetarian options. The outdoor beer garden includes a covered bar and countertop seating, set underneath rows of string lights that brighten the space as the sun sets.